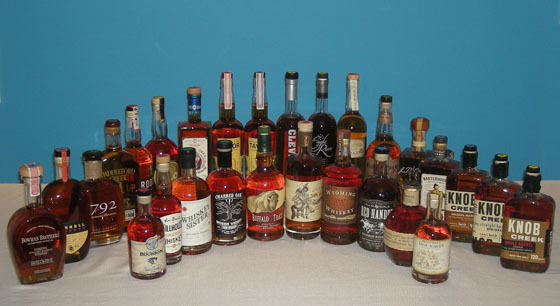 The Fifty Best held a “blind” tasting of 29 American bourbon whiskies with 17 pre-qualified judges. Strict tasting rules were applied. The order of service was established beforehand by lottery. 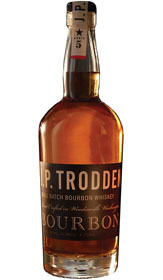 Each of the bourbons were poured into fresh glasses from new sealed bottles, and served at slightly above room temperature. Only ice water, neutral unflavored crackers and bar snacks were available to cleanse the palate. The judges tasted through four flights of 7 bourbons plus one. 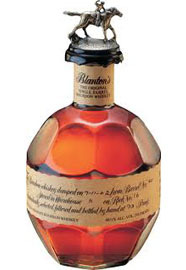 The two flavored bourbons were tasted at the end and scored separately as a group. The tasting notes that follow are summaries of the judges’ opinions, with all replicated commentary eliminated. The states of origin and alcohol content are identified for each brand. Nose: Honey, cane sugar, molasses, toffee, fudge, maple. raisins, cassis, ginger, nutty, toast, brine, tobacco, oak. Palate: Toffee, caramel, creamy, buttery, honey, banana, coconut, peach, biscuit, toast, marzipan, port wine, sherry, ginger, white pepper, peppery, coffee, tobacco, leather, charcoal, beautiful wood, oak, well balanced. Finish: Floral, eucalyptus, pepper, spicy, brine, smooth. Nose: Toffee, butterscotch, brown sugar, cane sugar, sweet cream, chocolate, dark chocolate, banana, marzipan, hazelnut, pecans, black walnut, peanut, spice, floral. 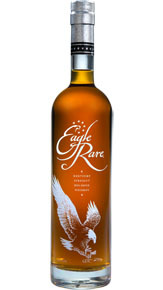 Palate: Toffee, fudge, chocolate, honey, vanilla, orange, cinnamon, malt, pepper, grass, oak, smooth, balanced. 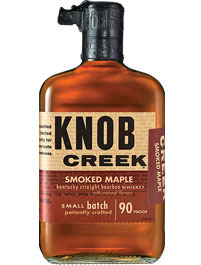 Finish: Spicy, pepper, maple notes, nutty, wood, subtle, smooth. Nose: Molasses, toffee, maple, light confectioner's sugar, cotton candy, glazed pop tart, butter, honeysuckle, dried mango, ripe banana, banana bread. Palate: Toffee, butterscotch, fudge, light molasses, light banana, ripe banana, walnut, cinnamon, pepper, herbal, white pepper, spices, mint, pine, saline, leather, oak. Finish: Fruit, ginger, honey, fudge, leather, nutmeg, pepper, spicy, oak, perfect. Nose: Raisins, dates, light fruit, green apple pie, pineapple, cola notes, vanilla pudding, crème brûlée, sweet, blossom, grain, hay, wood. Palate: Honey, vanilla, creamy, butterscotch, banana, orange, marmalade, raisins, dried fruit, fudge, chocolate, toasted corn, cinnamon, sherry, anise, clove, walnuts, toast, oak, soft, delicate, excellent. Finish: Raisins, dark fruit, spicy, allspice, wood notes, smooth. Col. E. H. Taylor, Jr. 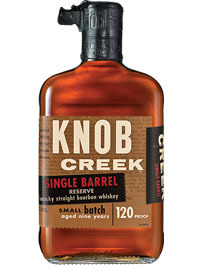 Nose: Maple syrup, honey, butter, corn, nutmeg, cafe, pepper, spice, wood, oak. Palate: Honey, caramel, lovely corn, dried apricot, elderflower, light cinnamon, clove, spice, crackling firewood, charred oak, oak, well balanced. Finish: Toffee, creamy, tropical fruit, spice, pepper, soft, awesome. Nose: Yellow banana, caramelized plantain, dried banana chips, raisins, dried fruit, plum, lime, citrus, chocolate, carnations, patchouli. Palate: Pear, tropical fruit, citrus, brown sugar, sugar cane, honey, marmalade, maple, corn, toast, almond, walnut, white pepper, grass, austere wood, oak. Finish: Caramel, raisins, dried fruit, almond, biscuit, pepper, spice, soft, smooth. 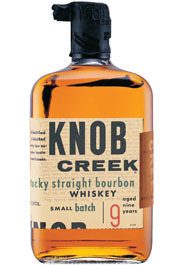 Kentucky Straight Small Batch - Aged 9 yrs. 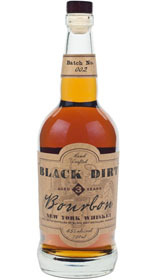 Nose: Vanilla, cane sugar, powdered sugar, brown sugar, molasses, banana, chocolate, cinnamon, dark spice, leather, pine. Palate: Banana, orange, apple, light brown sugar, honey, caramel, macadamia nuts, pecans, spice, pepper, white pepper, licorice, tobacco, oak. Finish: Caramel, corn, plantain, toast, eucalyptus, mint, spicy, wood. 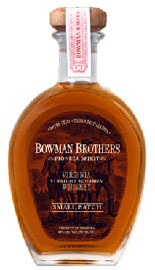 Nose: Tropical fruit, papaya, fruity, grape, sweet, sweet cream, honey, caramel, toffee, floral, leather. Palate: Caramel, toffee, molasses, vanilla creme pie, dates, raisins, port wine, sherry, pepper, spice, wood, oak, balanced. 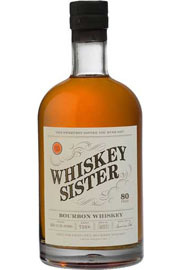 Finish: Vanilla, buttery, caramel, pecans, fruity, floral, peppermint, peppery, smoky, soft, smooth. Nose: Vanilla, buttery, toffee, cocoa, brown sugar, molasses, citrus, green grass, hay, toast. Palate: Caramel, toffee, molasses, honey, maple, raisins, corn, almonds, green pepper, sherry, spice, leather, wood, excellent. Finish: Caramel, sugar cane, toast, raisin, pepper, spicy, soft, incredibly smooth. 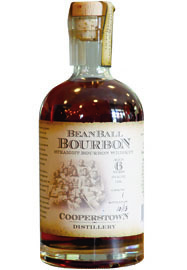 Nose: Dried fruit, light brown sugar, molasses, caramel, nutty, rye, green apple, herbal notes. Palate: Molasses, honey, sugar cane, caramel, creamy, butterscotch, pear, citrus, cinnamon, marzipan, pecan, nut, coffee, eucalyptus, wood. Finish: Honey, spicy, clean, leather, soft, smooth, well balanced. Nose: Tropical fruit, banana, pineapple, kiwi, citrus, toasted corn, dark toasted chestnuts, black walnuts, hay. Palate: Buttery, honey, vanilla, fudge, molasses, banana, pineapple, light lemon notes, fruit, hazelnut, walnut, cinnamon, toast, coffee, oak. Finish: Vanilla, raisins, bitter chocolate, orange zest, clove, subtle, balanced, smooth, mellow. 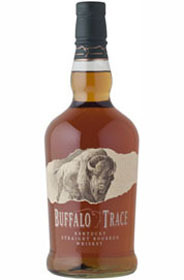 Nose: Cane sugar, cotton candy, whipped cream, honey, treacle, caramel, butterscotch, rum, corn, cookies, floral, clove. Palate: Dark sugar, molasses, vanilla, butter, clotted cream, coconut, almond, nutty, marmalade, rum, nutmeg, white pepper, spice, mint, eucalyptus, hint of smoke, smoky wood notes, oak. Finish: Dried fruit, raisins, coconut, molasses, grassy, mint, smooth. Nose: Cane sugar, honey, caramel, maple, fruit cake, pineapple, citrus, green apple, blossom notes, herbal, grassy, roasted nuts, cocoa, oak. 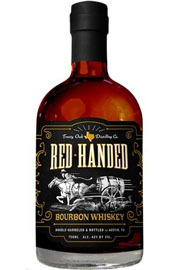 Palate: Caramel, creamy, toffee, maple, sugar maple, banana, mango, coconut, corn, cherry, raisins, toast, mint, pine, mild leather, nice oak. Finish: Vanilla, caramel, banana, spice, eucalyptus, nutty, chocolate, coffee, cedar, smoke, soft, smooth. Nose: Caramel, toffee, chocolate, creamy, sweet cream, whipped cream, vanilla, tropical fruit, banana, pineapple, citrus, green leaves, flowery, hay, Pedro Ximénez sherry, coffee. Palate: Toffee, butterscotch, honey, honeycomb, creamy, prune, dates, dried fruit, orange, sweet grain, tea, eucalyptus, clove, nutty, spicy, pepper, coffee, tobacco, oak, balanced. 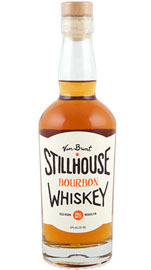 Finish: Caramel, maple, chocolate, pear, orange, mint, eucalyptus, spicy, rye, brine, leather, light wood, smooth. Nose: Honey, molasses, demerara, brown sugar, vanilla, caramel, buttery, buttered popcorn, kettle corn, cobbler, orange, lemon curd, green banana, tea leaves, tobacco. 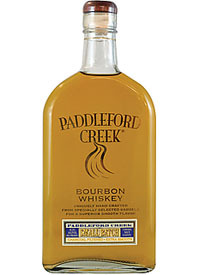 Palate: Sugar cane, honey, maple, vanilla, creamy, butter, corn, peach, cherry, licorice, spicy, oak, wood, well-balanced. Finish: Toffee, pecan, tea leaves, spicy, soft, smooth. Nose: Vanilla, cane sugar, demerara, toffee, dried fruit, ripe yellow plums, toast, cinnamon, herbal, spice, spice cake, nutmeg, hay, oak. Palate: Citrus, pear, dark fruit, cherry, dates, vanilla, buttery, pie, sherry, ginger, fresh herbs, licorice, cinnamon, allspice, clove, nutmeg, pepper, white pepper, spicy, light leather. 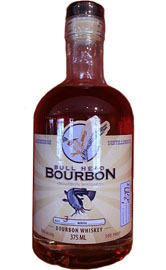 Finish: Vanilla, cherry, pecans, cinnamon, allspice, eucalyptus, rye, briny, flavorful. Nose: Dried fruit, pear, honeycomb, maple, cinnamon, herbs, subtle citrus, grass, tea. Palate: Honey, vanilla, cream, apple, pear, plantain, marzipan, peppermint, herbal tea, grass, white pepper, pepper, spice, oak, smooth. Finish: Creamy, marzipan, Graham cracker, biscuit notes, herbal, leather, smoky, woody, young wood. Nose: Brown sugar, light caramel, nougat candy, cola, banana, papaya, green apple, apple, spiced apple pie, toasted almond, grain, black tea leaves, sherry, leather, oak. Palate: Pineapple, apple cider, toffee, butterscotch, sugar cane, honeysuckle, winter wind over snow, ginger, raisins, eucalyptus, big spice, spicy, oak. Finish: Light almond, kiwi, mint, clove, leather, light sweetness, smooth, delightful. 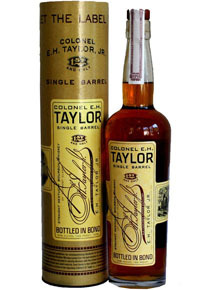 Nose: Dried fruits, tropical fruit, pineapple, citrus, honey, molasses, sugar cane, vanilla, maple, caramel. cream, butterscotch, patchouli, allspice, grass, hay, leather, oak. Palate: Apricot, banana, berries, apple, lemon, cane sugar, burnt sugar, honeycomb, honey maple, nutmeg, slight clove, tobacco, leather, charred oak. Finish: Spice, light clove, cereal grain, tea leaves, honey, sweet, peppery, tobacco, leather. Nose: Brown sugar, molasses, cola, sweet corn, pineapple, maple, Pedro Ximénez sherry, flowers, green leaves, clove, spice, oak. 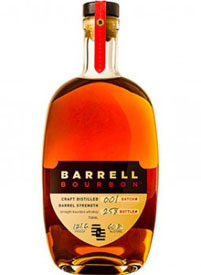 Palate: Caramel, toffee, dark sugar, honey, maple, banana, orange, grapefruit, pineapple, corn, wheat, biscuit, peppermint, cognac, oak, charred oak. Finish: Caramel, toffee, maple, toast, spice, red pepper, peppery, smooth. Nose: Orange peel, citrus, lemon zest, brown sugar, butterscotch, butter rum, nutty, nutmeg, green pepper, herbal, floral, grain, toasted oats. Palate: Vanilla, honey, white chocolate, fudge, butterscotch, toffee, caramel, sugar cane, demerara, treacle, dark fruit, raisins, dates, coconut, toasted coconut, ginger, Graham cracker, sherry, herbal notes. Finish: Creamy, caramel, dried fruit, light pepper, leather, complex. Nose: Tropical fruit, cherry, sultana, vanilla, buttery, toffee, caramel, corn, plantain, herbal, wheat, grass. 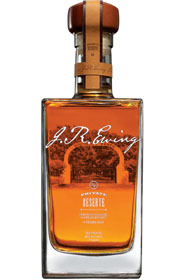 Palate: Demerara, dark sugar, honey, vanilla creme pie, pineapple, mango, corn, peppermint, eucalyptus, spicy, oak, classic. Finish: Herbal, spicy, leather, smooth. Nose: Highlands scotch profile, caramel, bitter chocolate, toffee, butterscotch, buttered popcorn, honeysuckle, coconut, light mint, herb, hay. 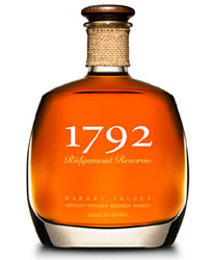 Palate: Honey, maple, ripe cherries, green fruit, lemon grass, mint, tea leaves, nutty, pepper, tobacco, oak. Finish: Caramel, brown sugar, dried fruit, ginger, cinnamon, pepper, woody, oak. 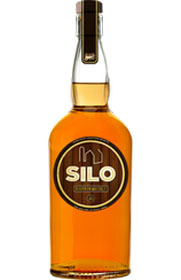 Nose: Buttery, dried banana, lemon, rye, corn, patchouli, vegetal notes, lovely wood, pine, oak. 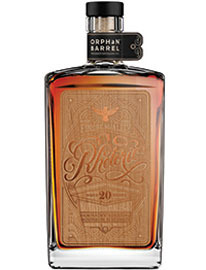 Palate: Burnt sugar, sugar cane, toffee, maple, caramel, kiwi, tropical fruit, coffee, patchouli, elderflower, tobacco, oak. Finish: Toffee, creamy, butterscotch, raisins, herbs, chicory, coffee, spicy, woody. Nose: Yellow banana, dried fruit, honey, honeycomb, nuts, coffee, green leaves, grass, patchouli. 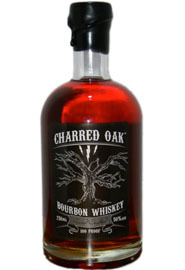 Palate: Caramel, toffee, dark sugar, yellow banana, Graham cracker, herb, tea, nutty, coffee, spicy, clove, woody, oak. Finish: Biscuit, herbal, spice, dry. Nose: Ripe banana, tropical fruit, dried fruit, marmalade, molasses, treacle, honeycomb cereal, grain, toast, fresh ripe corn, carnations, flowery, patchouli, leather, oak. 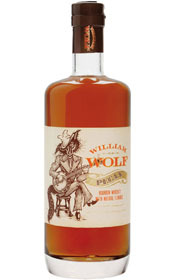 Palate: Fudge, creamy, powdered sugar, William's pear, biscuit, grain, rye flour, nutty, spicy, herbal, patchouli, wood, oak. Finish: Tea leaves, floral, cereal, wood, smooth. Nose: Caramel, cream, hint of vanilla, honey, kiwi, pineapple, fruity, apple blossom, blossom, roasted filberts, toast, biscuit, oak. Palate: Toffee, dark sugar, molasses, mango, marmalade, corn, sherry, black tea, tea leaves, grassy, oak, silky. Finish: Vanilla, treacle, raisins, eucalyptus, mint, herbal, pepper, spices. Nose: Maple, caramel, butter, cookies, corn, nut, lovely. Palate: Maple, cotton candy, corn, praline, nuts, nutmeg, spice, pepper, oak. Finish: Toasted corn muffin, awesome, delicious. Nose: Butterscotch, caramel, maple, honey Graham, candy corn, pecans. 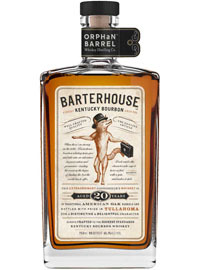 Palate: Toffee, caramel, delicious maple, butterscotch, brown sugar, pecans, almond, nutty, toasted corn muffins, coffee, sweet oak.